With Fall Just Around The Cornerthere is plenty that needs to be done. 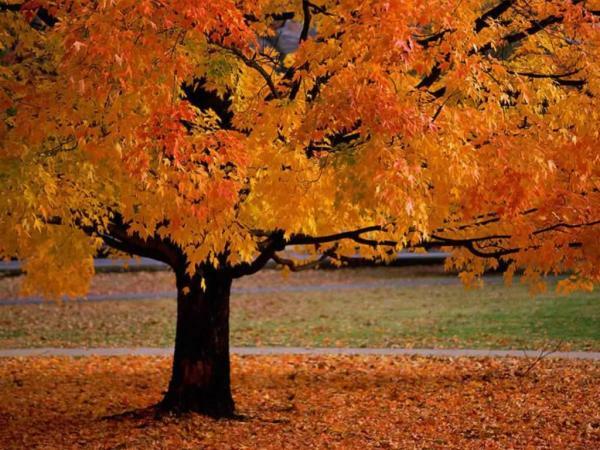 Please take a few minutes to read our tips for preparing your home for fall. Take a walk through your house inspecting all doors, windows, hinges and locks. You should replace anything damaged. Change your furnace filter. Its a simple, yet important thing to do. In fact, you should remember to replace your air filter once a month or at the very least once every season. You will find your home has cleaner air and air better circulation. You should look at your garage door(s) to determine whether or not you need to make any repairs before the cold weather arrives. Make sure to inspect the panels for maintanance purposes and automatic door openers, safety measures and openings. When it comes to dusting be sure to let gravity help, such as dusting the picture frames & plants first, followed by the tables and chairs then baseboards and trim. Always vacuum last as dust settles to the floor. If you found it cold in your home last year, perhaps a check into getting more installation in the attic or caulking the exteriors of the window frames to prevent drafts. Make sure to check your Furnace; turn your furnace on and make sure its working before the cold weather arrives. Chances are you will smell an odd burning smell at first but thats because your firing up the furnace for the first time likely since the early spring and dust and cobwebs could be burning, no cause for alarm(but monitor it). Remember to open a window or two to help the smell pass, if the smell does not pass, shut down your furnace immediately and call in a professional to take a look. Its better to be safe then sorry! Its a better idea to have a professional in to clean and tune your furnace in the fall prior to firing it up for the first time. A home with central heating can lose up to 60% of its heated air before that air reaches the vents if your ductwork isn't well connected and insulated. Make sure to check your ducts for large gaps and cracks so your not wasting money and don't end up with cold spots and a chilly house! Another ducts fact is having your ducts vacuumed out once every year to ensure dust and hair is removed, as it gathers and can cause breathing problems and can make you more prone to getting sick. If you have a chimney, don't forget about it! chimneys don't need to be swept every year, however they should be inspected before use at the beginning of the season. To keep out cold weather, remember to close the damper when the fireplace isn't in use. Remember to check your smoke alarms every season, a lot run on batteries and most have a battery back-up and need to be maintained for proper safety. The batteries NEED to be "tested" regularly! Your smoke detectors on the other hand have a shelf life need to be replaced every ten years. While your at it; checking your Carbon-Monoxide detectors should be important. Each home should have at least one! 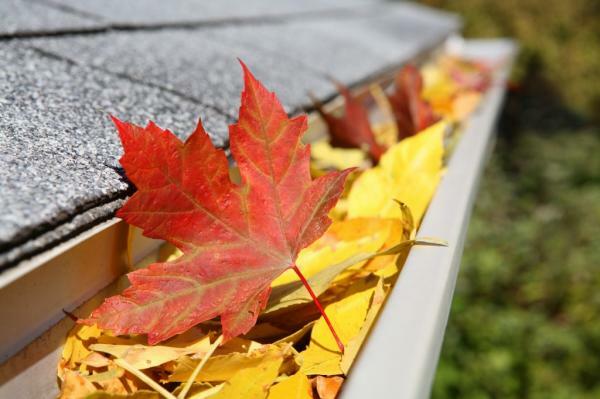 Once the leaves fall, you should remove them and any other debris from your home's [Leaves in Gutter] gutters.Leaves and other debris can lead to backed up gutters and freezing. Both can be very dangerous. Gutters are designed to carry water away from the actual foundation of your home. If your gutters are compromised due to objects &/or leaves/debris, flooding can happen. It's good to grab some fall fertilizer for your grass and gardens to cut down on weeds as well as make your grass green for Spring. Fall means cooler weather, cooler weather means, less of a need for your swimming pool. So make sure to have your pool properly closed. If you cant personally close your pool, make sure to hire professionals who can. Mother nature has finally allowed spring to grace us with her presence. Here are a few tips to help us sell your house! Spring cleaning! It's not just an old saying, it's a must. The winter months are long, cold and dirty here in Ontario. Your house has battled the elements to keep you warm and dry since the fall and most things around the house show it. Time to clean the windows inside and out, (this included the frames), pressure wash the exterior of the house, walk ways & the driveway. Not only does this make them look more esthetically pleasing but it washes off salt and debris that could break them down over time. Don't neglect the backyard patio or deck, when potential buyers are looking at your home on a sunny day, they will venture out into the backyard to get a feel for the space. Why not clean the patio or deck, break out the lawn furniture and give it a wipe down too. This lets them sit down for a moment and contemplate themselves living there. Have a look around the property...What would turn off a potential buyer? It is hard to envision children playing in the backyard when that old rusted Buick is there or a pile of wood and rusty nails where they want to put a shed. It's the little things that matter to a potential purchaser. Fix all the little things you can so they are not a thought in the buyer's mind. Inside & out...Let's have a look inside the house shall we? "When did I accumulate all of this stuff!" Start packing! Your moving right? Might as well pack up as much stuff into boxes as possible and get it out of the house. Less is more. In a perfect world, a bedroom should have a bed and a dresser, maybe a couple pictures on the freshly painted wall after you patch up the 10 000 plus pin holes your kids put in the wall to hang up their posters and sports memorabilia! Justin Beiber is not a selling feature and neither is a crowded bedroom the potential purchasers can't visualize putting their children's belongings in. Everyone's tastes are different, so let's use a little common sense here. Clutter may be 7 letters but it's a four letter word in Real Estate! Nobody thinks of their worldly possessions as clutter, but if every square inch of every horizontal surface of the house has something on it...I hate to break it to you, but that's clutter! You are moving right? Pack it up safe and sound and get it out of the house. Living in your home and selling your house are two different lifestyles. People want to see the space your home has to offer them, so this might include(if possible) removing some furniture pieces and staging the room for viewing over living during the sales process. Clean off countertops and tables and line up the furniture so it flows nice and is easy to navigate through. It's only for a while until you get to your new castle and can bring out all of your things to enjoy again. Clean, Clean, Clean...I can't say it enough! Clean the whole house top to bottom including trim and doors. A fresh coat of white paint goes a long way on grubby baseboards and trim. It's not that buyers will point out dirty trim, but they may prejudge the home based on it and nobody wants that. What we want to hear is "the trim looks nice" which causes them to look at your beautiful floors.